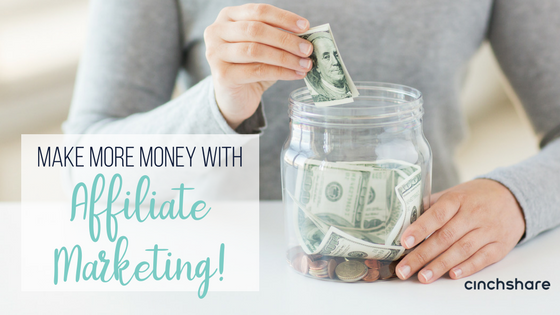 How to Make More Money with Affiliate Marketing! Affiliate Marketing has been around for ages and for good reason! People naturally enjoy sharing about products and services that they love and believe in, so why not share and make some additional income along the way? It’s pretty much a win-win for everyone involved – the company gains new customers, the affiliate(?) receives compensation (and bonus friend points!) and the new customer enjoys the benefits of the product/service that was shared. What’s not to love? The definition of Affiliate Marketing is a marketing arrangement by which an online retailer pays a commission to an external website for traffic or sales generated from its referrals. We created our free affiliate program called the CinchShare Brand Ambassadors (CBAs) back in January 2016 and we chose to say thanks for sharing the #cinchlove by offering $10 per referral. Giving our CBAs cold hard cash was a decision based on what we felt was the most fair for our customers because while receiving a free month’s subscription with credits is a nice gesture, we would rather YOU decide how you’d like to spend your affiliate rewards. So if you’d like to pay for your CinchShare account, go right ahead! Or perhaps you’d like to save up a bit and pay a few bills, get your daughter those dance lessons she’s been begging you for, or go on a well deserved vacation. The choice is yours! You can make as much money as you’d like simply by sharing your unique link and have your team and friends join CinchShare. 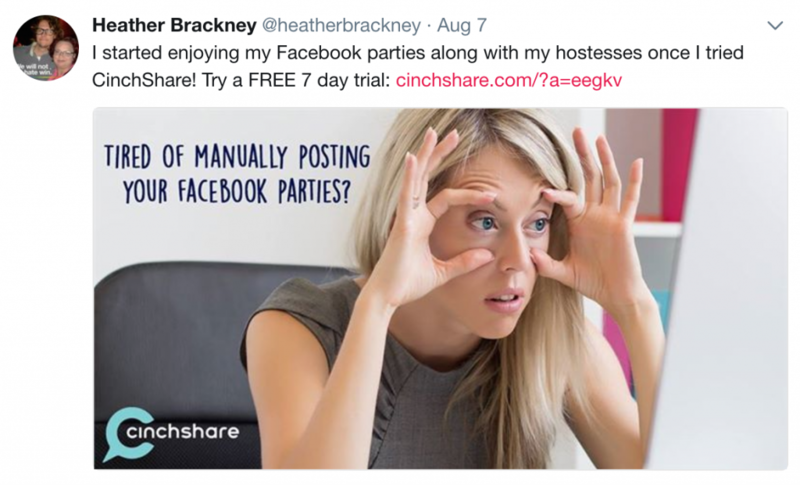 We’ve been blown away by the creative ways our CinchShare Brand Ambassadors have been sharing their affiliate links! Check out these great ideas that are easy for you to do too! On Instagram our Brand Ambassadors love to surprise us with their creative images! 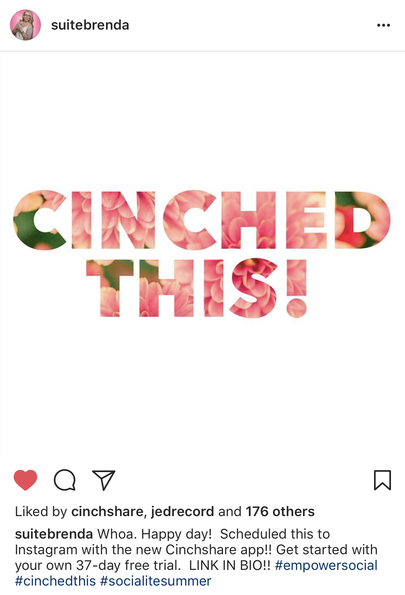 Brenda played off of our hasthag #cinchedthis to show that she scheduled the post in CinchShare to Instagram for all her followers to see and put her affiliate link in her bio. Genius! Our blogging CBAs give pretty amazing in-depth explanations about how they’ve saved time, become more consistent and can plan ahead with us. 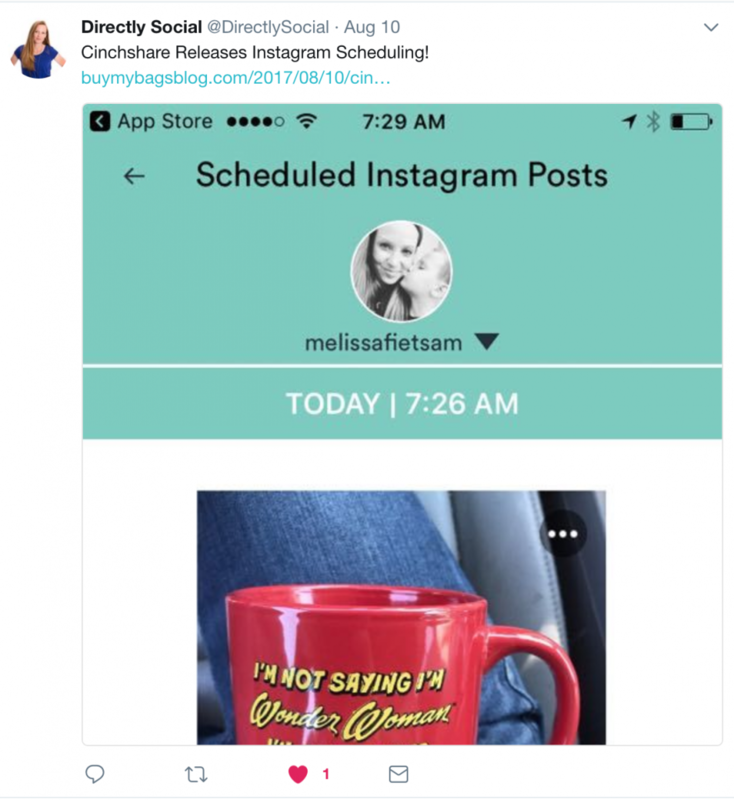 They include their affiliate links in their posts like Melanie did in her Lucky+Lovely blog and Kristy in her Forever Sparkly blog – we absolutely LOVE how they both share why they choose CinchShare and how our software is able to help their readers run successful businesses as well. You can also put a CinchShare button with your affiliate link right on your own site like Jilleysue! What is so amazing about being an affiliate is that YOU control how much or how little you make with your referrals. We have thousands of CBAs that earn an extra $10-$20/month, many that earn $100/month, and a few that even earn an extra $1000/month! That’s practically a pay check! Nothing makes us happier than being able to say thank you while also helping others to live the life they love. If you use CinchShare and would like to join our team of awesome CinchShare Brand Ambassadors you can apply HERE for free! 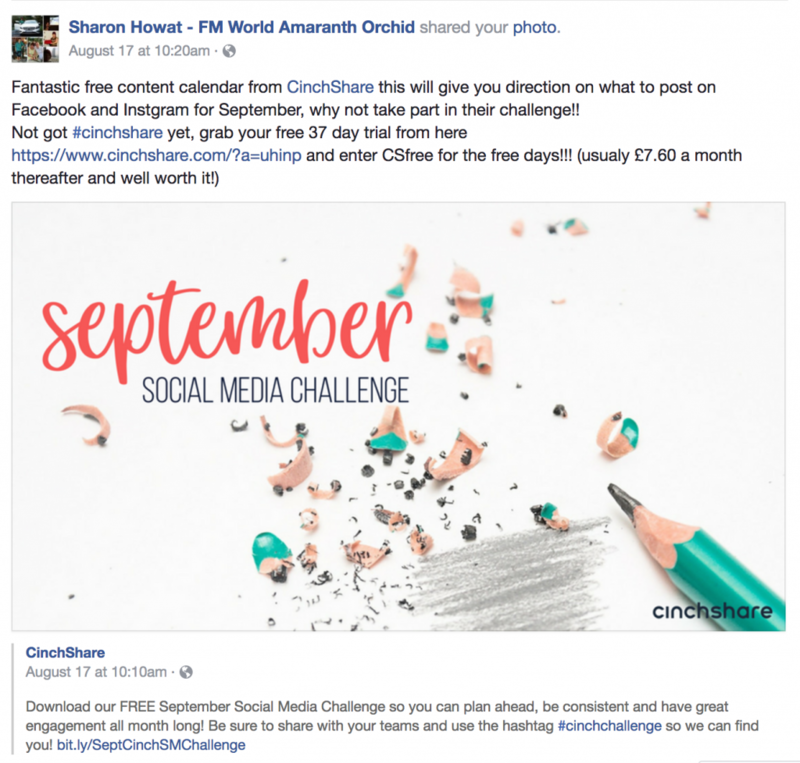 What do you love the most about being a CinchShare Brand Ambassador? We’d love to know, please comment below and share with us! Maximize Your Sales with the Holiday Hustle Workshop Series! Direct Selling Tips for a Successful Holiday Season! The info presented through the content was very important for me. 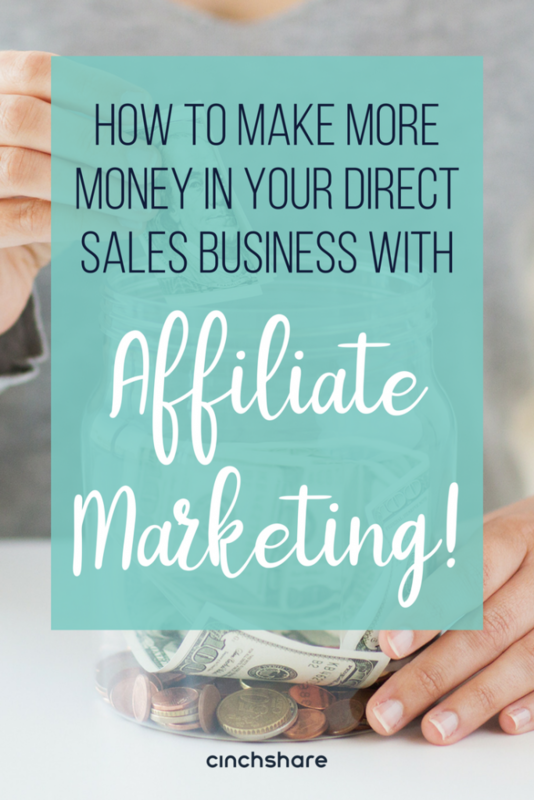 Since I am newbie to Affiliate marketing and want to start earning through this, So I needed useful tips that your blog has provided.